The "holy grail" of unified communications has arrived . . . a solution to that ties my email (Gmail), instant messenger (Google Talk), Video Chat, Free SMS, Voicemail (Google Voice), Google Calendar, Google Docs all together into one organized and simple hosted solution. You can't beat the price which is currently free and it just might fix your cell phone coverage as well. What finally blew me away was the last step of choosing my new phone number and you can search by key words, numbers and zip code. I typed in my mobile phone number and my new number was only one digit in the area code different. I now have a (310) and a (317) phone number and that is cool! As a small business owner this is an ideal solution and could save you thousands of dollars per year if you take the time and get organized. Its also a solution for the many millions of office and home cell phone users who don't have any mobile phone reception in their home or office. It is now so simple to simply dial the number with one click that you can leave your cell phone in the car (if you forward your phone number). No more dead zones or dropped calls that seem to be getting worse on smartphones that consume more data. This is a timely announcement by Google as VoIP competitor Skype now has over 500M+ users and is positioning itself for an IPO. 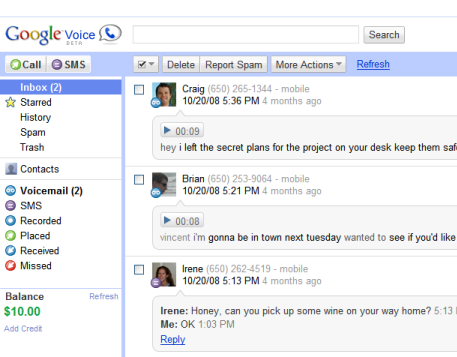 I think Google Voice will now quickly catapult itself as a big competitor to Skype. The recent announcement of Google calls from PC to Phone is somewhat unique as Skype currently charges for these calls with their Skype Out product. It is cheap as well but I assume Google Advertising has thought through the math and figure that they can make it free and make more money on the advertising served up. SMART! It will also be very interesting to see how tightly integrated the new Google Voice features are with the Android operating system and the New Features on the T-Mobile G2 Phone phone that will be coming out in November. 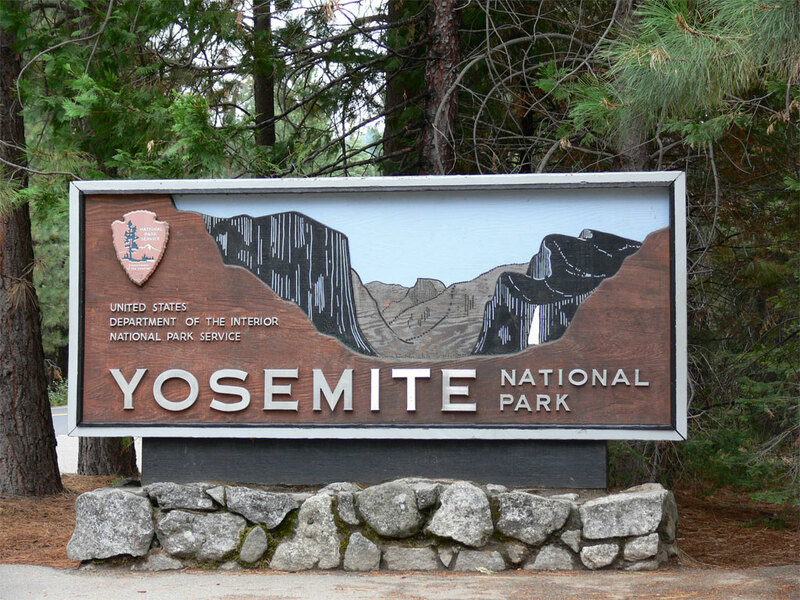 3.7 million people per year visit Yosemite National Park and its one of the most heavily visited National parks in the US. Despite that fact its very difficult to get cell phone coverage in the area. Its an important safety issue to note especially if you are hiking in the park or plan on staying for an extended period of time. As you can see by the carrier coverage maps below from the four largest wireless service operators AT&T, Verizon, Sprint & T-Mobile that cell phone coverage in Yellowstone National Park is not good and spotty at best given the terrain and trees. It is also virtually impossible to discern the projected coverage on the carriers' maps despite having 250 combined customers and billions in profits. See our post on cell phone coverage in Yellowstone National Park as well. Carriers don't care about where you need coverage the most and would rather spend their money telling you they are full of _ _ _ _!. So Deadcellzones.com can help and has provided a user generated coverage map and would appreciate your input where you think there should be cell coverage and wifi provided in the park by submitting pins directly to our Yosemite cell phone coverage map. 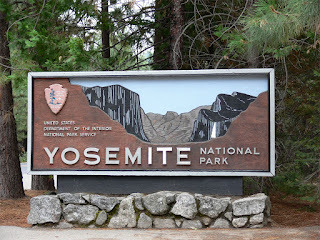 After you click on the link or go to Deadcellzones.com, type in the zip code 95389 of Yosemite and add a pin in the area you had a problem expected to have coverage in areas throughout the park. Feel free to submit coverage problems of other National parks as well because these areas will likely be targeted by the FCC to provide free national broadband. 2.5 million people per year visit Yellowstone National Park and its one of the most heavily visited National parks in the US. Despite that fact its virtually impossible to get cell phone coverage in the area. Its an important safety issue to note especially if you plan on going hiking in the park or planning to stay an extended period of time. As you can see by the carrier coverage maps below from the four largest wireless service operators AT&T, Verizon, Sprint & T-Mobile that cell phone coverage in Yellowstone National Park is not good. More importantly its virtually impossible to use their coverage maps on despite the billions in dividend profits given to shareholders each year. Deadcellzones.com is a consumer generated coverage map and we all would appreciate your feedback on where you think there should be cell coverage and wifi provided in the park and you can submit your comments and pins directly to our Yellowstone cell phone coverage map. After you click on the link or go to Deadcellzones.com, type in the zip code 82190 of Yellowstone and submit your wireless carrier and the problem you are having if you expect to have coverage in certain areas projected on the map below. Feel free to submit coverage problems of other National parks as well because these areas will likely be targeted by the FCC to provide free national broadband. We hear from customers that there is cell phone service near all of the villages and near the West, and North entrances and the Eastern side of the park is where you tend to find the most dead zones. If you are near stores or gas stations there is a good chance you will probably have coverage. However, Yellowstone Park is enormous so you aren't going to get coverage in much of the park. When you first read this you might think its a joke but then you begin to question yourself because of the source (Google). Google has thousands of PhD's on staff and this concept seems absolutely doable over an old pipe infrastructure. After reading the detailed instructions I began to accept the impossible and started to believe it was true. After all, the concept seems very analogous to powerline networking where data traffic is routed through your electricity swtiches within your home. How does TiSP (Toilet Internet Service Provider) work? The Google TiSP (BETA) is a fully functional, end-to-end broadband wireless system that provides in-home Wifi access by connecting your toilet-based TiSP wireless router. The router connects to one of thousands of TiSP Access Nodes via fiber-optic cable strung through your local municipal sewage lines. Why should I switch to Google TiSP? It's free, fast & delivers a 10x higher flow rate than basic DSL (even after your morning dump). Its also vacuum sealed to prevent water and pipe damage. However, until seeing the press release dated April 1, 2007 my head sank into my lap after the time I had wasted wondering whey there wasn't more press on the idea. However, I am not giving up on the concept because there are millions of people who just might take a little more satisfaction over the commode knowing they are contributing to the disruption of an telecom oligopoly. Still a believer and think someday it might come true. . . read more Google hoaxes. The question of "How to Buy a Femtocell" seems to be a recurring question for our users and US mobile phone customers. 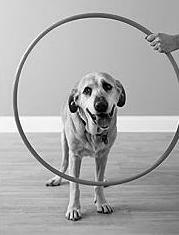 However, when you ask AT&T, Verizon and Sprint when and where you will be able to buy a femtocell they often want you to "jump through hoops" to get one. We have published two articles that should help you understand that your carrier is thinking of themselves first and don't care about your coverage. The bottom line is you have to be good at complaining and have documented evidence that coverage is horrible where you live. Wireless operators just want your money and here are some ways to negotiate with Sprint & AT&T. How to get a free Sprint 3G femtocell & How to get a free AT&T 3G MicroCell. Sprint's femtocell Airave is available in most stores and they currently have a 2G (paid) and 3G (free) version. Don't ask me why? AT&T launched a 3G femtocell in 2010 and they call it the AT&T femtocell MicroCell. It can be purchased for $150 plus a data plan. Verizon has a femtocell that they call the Verizon Wireless Extender but it is only 2G and it sells for $250. T-Mobile has taken a contrarian route and intends on using Wifi vs. femtocell for improving in-building coverage. Smart move if you ask me since Wifi is ubiquitous throughout the world and access is free and unlicensed. Femtocells are available in most US cities for AT&T, Sprint & Verizon but not T-Mobile. As competition intensifies so will free femtocells and subsidies for customers who have suffered from poor in-building coverage. Fetmocells are currently available on a geographic basis and are better off purchased at the store. However, I expect Best Buy, Radio Shack and Amazon Wireless to get into the game soon and this will likely help educate consumers why and how they can purchase one. It will be interesting to see what role the cable broadband providers Cox, Comcast, Cablevision and Time Warner have in deploying femtocells since they reside on their network. Read our post about how Cox Wireless is deploying their own mobile phone service. Stay tuned as 2010 could be the year where the femtocell industry finally takes off. Sprint will apparently begin offering FREE femtocells for its "qualified customers" that have reception problems on their 3G / EV-DO phones. Sprint's new Airave femtocell now supports 3G which technically should be 3X faster (500-700 kbps kilobytes per second ) than their 2G Samsung femtocell of 150 (kbps). 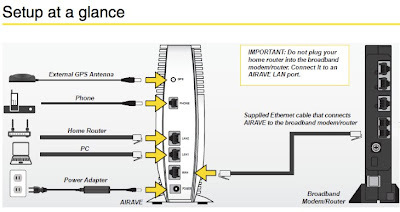 The updated Airave Access Point (aka what is a femtocell?) uses a customer's broadband internet connection to route calls back to the Sprint network and is being marketed by Sprint as a mini cell tower. It covers up to 5,000 square feet and supports up to six calls simultaneously. 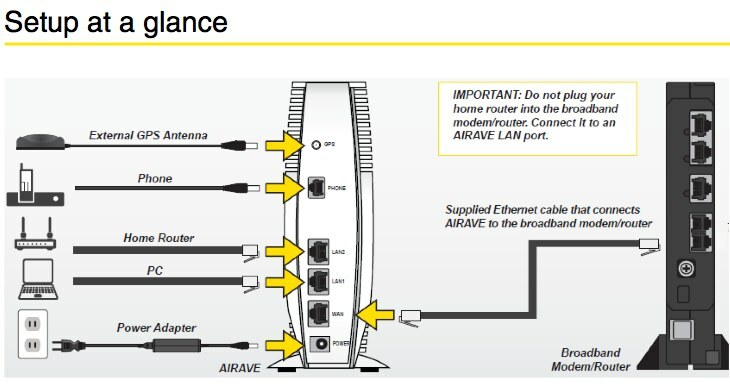 The Airave will be available in stores to customers with specific in-building reception issues. Sprint 2G Airave femtocell has been around for almost 3 years since 2007 and sells for $100. For some reason that makes no business sense, Sprint will still continue to offering its' 2G data version of Airave for $99.99, plus a required $4.99/month plus an activation fee of $10 for a single line or $20 multi-line plans. We don't have a clue why they would continue charging for a old product other than possibly trying to avoid cannibalizing their existing customers. Find out if the Sprint 3G femtocell is available in your market. If you know of any other factors that could help influence Sprint to give you a free femtocell please submit in the comments below or email us. See our map below to build your case to the carrier and use the map to show problems in your area. Where is MetroPCS Expanding Coverage? Admission of guilt is a hard thing to do when you are a large carrier like AT&T or Verizon trying to protect your turf but MetroPCS is now the 5th largest carrier with 7.3 million customers and is doing something right for the industry. I have to praise MetroPCS's marketing and management team for taking leadership role in the telecom industry and actually admitting where they don't have coverage and where they plan to expand their wireless footprint. Click on the map above which will take you directly to their coverage map. If you click on the red bubbles or you find areas like Palm Springs shaded in red. This implies they don't currently have coverage in the area and are expanding. MetroPCS has also been very aggressive about using DAS in local markets which has allowed them to speed up the delivery time to coverage in markets. Distributed antenna systems are gaining traction as an alternative way for smaller carriers to fill in coverage or add more capacity to the wireless network when new cellsites are not an option due to city zoning regulations. These smaller antennas usually sit on top of utility poles face and are starting to face their own challenges in an unsettled regulatory environment. Read more about Distributed Antenna Systems NextG and ExteNet which may be providing much of the infrastructure for MetroPCS to expand. MetroPCS does a great thing by issuing a press release about the coverage expansion but then also publishes this area on their map shaded in red. It is a great example of how AT&T, Verizon, T-Mobile and Sprint should issue their press releases and then plot the area on a map with red dots similar to MetroPCS. Unlimited Wireless Carrier MetroPCS Expands Florida Coverage to Gainesville and Ocala. Spacial Point is the company helping MetroPCS provide the maps which is a Microsoft and Bing Maps partner. You can also add Metro PCS coverage problems on Deadcellzones.com at our map here. Where is AT&T Wireless Expanding Mobile Coverage? Where is Verizon Expanding Network Coverage? Where is T-Mobile Expanding Coverage? What does HSPA+ coverage expansion really mean for customers and why should they care? Does it fill T-Mobile's coverage gaps or just provide faster speeds? Are they fixing areas where they previously claimed to have 3G coverage on their maps? Are they putting up new cell phone towers or just enhancing the new ones? Carriers are sending out hyped press releases claiming to expand their network coverage and network speeds on a daily basis. Who is auditing their claims and where do they insist on making claims that are completing false and misleading? Here is a great example of a press release that is complete marketing fluff. This press release is trying to convey their HSPA+ is 4G to confuse customers yet don't explain how many towers have it and where its available. T-Mobile HSPA+ Network Now Delivers Broadest Reach of 4G Speeds in U.S.. Now HSPA+ network service is available in nearly 50 major metropolitan areas across the country, with the newest additions including Austin, El Paso, Fort Worth, San Antonio, and Waco, Texas; Baltimore, Md. ; Baton Rouge and Lafayette, La. ; Birmingham, Ala.; Cincinnati, Cleveland, Columbus, and Dayton, Ohio; Ft. Lauderdale and Jacksonville, Fla.; Greenville, S.C.; Honolulu, Hawaii; Indianapolis, Ind. ; Kansas City and St. Louis, Mo. ; Milwaukee, Wis.; Minneapolis, Minn.; Portland, Ore.; and Wichita, Kan. In addition, T-Mobile has expanded coverage in cities in previously announced metropolitan areas including Los Angeles, New York and Washington, D.C. 4G speeds are now available for customers in Alexandria, McLean and Reston, Va.; Anaheim, Burbank, Glendale, Irvine, Long Beach, and Ontario, CA; Annapolis, Bethesda and Chevy Chase, Md. ; and Asheville and Hickory, N.C. I have a suggestion for you T-Mobile. Why don't you provide more transparency about where you are expanding HSPA coverage on a daily basis on a beautiful coverage map like we do on Deadcellzones.com our T-Mobile coverage map (below)? Is it because you want to make it virtually impossible for media and consumer advocacy groups like us to audit your coverage claims and HSPA expansion progress? Your press hype is ridiculous and your lack of clarity of where you are expanding coverage is too confusing for any T-Mobile customer to understand the value of your daily press releases. Here is a suggestion. Get specific down to the street level on a map so we can easily see where we can expect faster speeds and improved capacity. Your T-Mobile coverage maps are completely worthless to the average consumer now that dropped calls and data congestion happen more than ever on a daily basis. Provide a map of where you are expanding coverage that would allow customers, employees, service providers, consumers groups and cell phone tower operators to understand where you have invested your resources to improve capacity and connectivity. T-Mobile's senior management team needs to wake up and stop be paranoid about your competition because your lack of clarity and transparency is appalling. What does this really mean for customers? Is Verizon filling coverage gaps in areas where they previously have claimed to have coverage on their maps? Is Verizon Wireless expanding network capacity to provide better data for its' customers? Are they putting up new cell phone towers, adding wifi or allowing customers to finally use femtocells? Carriers are sending out noisy press releases claiming to expand their network coverage in areas throughout the US. Here is a great example of a press release that is just a waste of time, resources, money and effort. Verizon Wireless Expands Network Coverage in New Jersey With New Ramtown Cell Site. This press release is trying to convey a message to their customers explaining that they are adding one new cell phone tower in the state of New Jersey. Do they really need to do a National press release explaining this to their 92 million customers? This is a complete waste of time resources, money and just hype that is press release noise. Here is a suggestion of how to better use your resources and make your media department convey a message that is useful to more people. I have a suggestion for you Verizon Wireless. Why don't you provide more transparency about where you are expanding coverage on a daily basis on a beautiful coverage map like we do on our Verizon coverage map (below)? Is it because you want to make it virtually impossible for media and consumer advocacy groups like Deadcellzones.com to audit your coverage claims and expansion progress? Your press hype is ridiculous and your lack of clarity of where you are expanding coverage is too confusing for any Verizon customer to understand the value of your daily regional press releases. Here is a suggestion. Provide a map of where you are expanding coverage would allow customers, employees, service providers, consumers groups and cell phone tower operators to understand where you have invested your resources to improve capacity and connectivity. Your Verizon coverage maps are completely worthless to the average consumer now that dropped calls and data congestion are more common than it was ten years ago in 2000. Your senior management team needs to wake up and stop be paranoid about your competition because your lack of clarity and transparency is appalling. Where is AT&T Expanding Mobile Coverage? What does this really mean? Are they filling coverage gaps in areas where they previously claimed to have coverage on their maps? Are they expanding network capacity to provide better data? Are they putting up new cell phone towers, adding wifi or allowing customers to finally use femtocells? Everyday carriers are sending out press releases claiming to expand their mobile coverage in areas throughout the state. Here is a great example of a press release that is just a waste of time, resources, money and effort. AT&T Expands Mobile Broadband Coverage in York County. This press release is trying to convey a message to their customers explaining that they are adding six cell phone tower sites in the state of New York using High-Speed Packet Access (HSPA). Do they really need to do a National press release explaining this to their 87 million customers and frustrated iPhone users? This is a complete waste of time resources, money and just hype that is press release noise. I have a suggestion for you AT&T. Why don't you provide more transparency about where you are expanding coverage on a daily basis on a beautiful coverage map like we do on our dead zones coverage maps (below)? Is it because you want the press and consumer advocacy groups like Deadcellzones.com to be as confused as possible when tracking your coverage claims and expansion? Your press hype is "off the charts" and your lack of clarity of where you are expanding coverage is too confusing for any AT&T customer to understand the value of your daily regional press releases. Providing a map of where you are expanding coverage would allow customers, employees, service providers, consumers groups and cell phone tower operators to understand where you have invested your resources to improve capacity and connectivity. Your AT&T coverage maps are completely worthless to the average consumer now that dropped calls and data congestion are more common than it was ten years ago in 2000. Your senior management team needs to wake up and stop be paranoid about your competition because your lack of clarity and transparency is appalling. Where is Verizon Expanding Mobile Coverage? Where is AT&T Fixing Outdoor Reception? It is virtually impossible to complete a call these days without a minimum of at least one dropped call. Why does this seem to happen at the beginning of the call several times and then seem to work fine. Failed calls and dropped calls are far more annoying than dead zones themselves. There is much evidence to point out that as data speeds increase exponentially and the number of users increase on the networks that mosts cell phone users will experience more coverage and reception problems. Industry studies suggest that as the density of mobile phone users increases for wireless access to cell phone towers the likelihood of dropped calls and data congestion gets much worse. The most common cause of dropped calls is not exactly what you may think. Most people think your proximity to the cell phone tower or location is most important. However, the amount of people on the same cell tower or network around you is actually the most important these days as competition for signals intensifies. Obviously, your cell phone will have the strongest signal outdoors and when fewer people are using the phone around you. Densely populated areas near offices and apartment buildings usually experience the most dropped calls. Also, rush hour in your car is another common location for dropped calls. Did you also know that 3G networks actually breath? This means signal strengths are constantly being adjusted by the carrier according to the other users around you. If your signal strength has always been good in an area, but suddenly goes bad, try removing the battery from your phone. Leave the battery out for at least 10 seconds. Replace it and check your signal strength again. All of this evidence might encourage you to ask yourself if it still makes sense to stick with your larger mobile operators AT&T and Verizon? Or might you be better off going with a smaller regional carrier carrier who has less customers around you competing for access to the network? Skype's IPO could be one of the hottest new technology stocks to hit Wall Street since Google's IPO at $100 per share in 2004. If Skype (now the largest wireless carrier in the world) does in fact do a silent auction IPO (similar to Google's IPO process) and only sells a small portion of the company (< 25%) I think the stock will fly higher. Owning shares of the Skype IPO could make you rich and dumping your wireless carrier could save you even more money and make your richer. Here are 10 reasons why this could be one of the most exciting and disruptive companies to big telecom over the next decade. The day of reckoning may soon be here . . .
#1 - Making quality 3G phone calls over AT&T, Verizon, Sprint & T-Mobile is impossible. It is a rarity these days when my call doesn't drop in the first few seconds or on a call. The carrier networks are just horrible and do not work and the problem is only getting worse. #2 - If you have ever used Skype to make International phone calls you know just how special and unique the service is. The voice and video quality is tremendous. 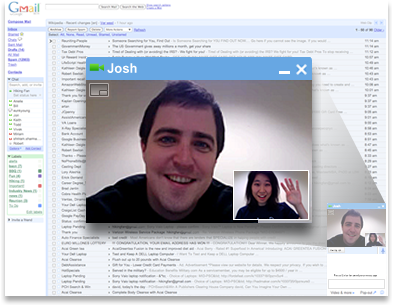 I am always perplexed why the same video quality experience can't be achieved when make Skype calls inside the US. I say it's big telecom technical shenanigans screwing with VoIP packets across the network. #3 - The service is currently FREE for Skype to Skype calls. As soon as this company is public the shareholders will likely demand more profits and demand the company expand its advertising capabilities for its free users. Personally I don't really care because Google did the same thing and I think their search advertising is highly relevant. #4 - Making Skype to any phone line is dirt cheap and will likely soon be free as well as soon as their advertising CPMs are high enough to pull the 2 cents per minute rates. #5 - Skype will soon be the largest carrier in the world with over 500+ million active users and they have 13% of the International call market share according to The Inquisitr. China Mobile is #2 with 527 million users, #17 Verizon 92M, #17 AT&T 87M, Sprint 48M, T-Mobile USA 33M. #6 - Skype's annual revenue will near $1B next year even through only 6% of their customers are paying for minutes according to Tech Crunch. Skype is wildly underpricing the value of their service and yet most consumers continue to pay their wireless carrier $50 per month or $600 per year. #7 - US wireless carriers are still hawking prepaid data plans where minutes expire. This is a complete scam and will likely be disrupted in the coming years as consumers and businesses get smart. Pay as you go and advertising based plans could save most users thousands of dollars per year. #8 - Every smart phone will soon have a front end video camera and some time of Skype or Google Voice software client on the phone eventually. With Google Voice gaining steam this will only continue to educate consumers that VoIP phone calls over Wifi is the only way to make calls. #9 - US wireless carriers are investing billions of dollars to build out 4G, LTE, Wimax networks when more like more than 50%+ of phone calls are made indoors. Wifi is still the best solution to connect through Skype to VoIP and likely will be for years to come. Why do you need an expensive voice service? #10 - Have you ever tried shopping for a phone in Europe or Asia? Well, guess what you get to pick the wireless service FIRST and then the carrier. Sounds backwards doesn't it having to chose the iPhone being locked into AT&T. Consumers are tired of cell phones being tied to specific carriers and want a standard platform where all phones work on all carriers. No more contracts and horrible wireless service carriers who's only value is lining the pocketbooks of shareholders with huge dividends. Skype's service and Android operating system may soon have the power, scale and leverage to make this happen throughout the world with a Skype Phone. T-Mobile has launched its G2 phone which has a much faster processor and runs on the HSPA+ network. I was able to pick up my phone just before the CTIA show as a favor and love it already. Here are some apps that were pre-loaded on the phone which I love. Google Voice, Google Listen for Podcasts, Swipe for texting with one hand, Google Places for finding locations easily, Google Goggles, PhotoBucket and many enhanced contact syncing features for Facebook, Twitter and Gmail. Its a great phone and the form factor is even better than I thought. The flip up screen and the placement of the navigation bar are in the areas you would expect. The power button on top makes it easy to turn on a swipe to turn on. The screen is slightly larger and it sits nicely in your hand to use without the keyboard. I had the Samsung Galaxy for a short time and returned it because I prefer to have a keyboard and didn't like he way it sat in my hand as a wider phone. However, the G2 is perfect and much better even though it is slightly heavier than the Galaxy but slightly lighter than the iPhone 4. I haven't noticed a difference in the processing power as promoted on the Galaxy and think the G2 processing power sufficient. Also, the 8GB micro SD card creates a lot of room. We still aren't sure if there is a front facing camera but the rear video and picture camera is excellent. Everyone who has had the G1 knows about the dreaded memory loss and it has become virtually impossible to run apps on phone without the Task Killer application running in the background. The G2 has much more processing power and expanded memory capability on the 2 GB internal and 8 GB SD card and internal memory. I would also expect to see a lot of data offloading features pushing capacity off application like YouTube from the carrier network onto Wifi. Google Maps has a stronger presence on it with preloaded apps It remains to be seen what will Google's answer be to Apple's Facetime application that seems to be captivating iPhone 4 users. It seems to me that this could be a feature enhancement of Google iChat and Google Voice integration. A Skype IPO could help light a fire in this area as wel..
T-Mobile seems to be the preferred network if you are Google user and live in a large metropolitan area. The trend today seems to be smart users moving to smaller carriers with less people on the network. That certainly is not AT&T or Verizon who own 66% of the market. Having poor AT&T, Verizon, Sprint & T-Mobile coverage service isn’t exactly a reason to break your carrier contract or move to a new carrier, but living a dead zone can create some problems. The industry versus consumer battle for fixing home and office coverage problems created by by faster data speeds and cell tower zoning restrictions has started a new revolution. The revolution is very simply about free open unlicensed mobile access versus very expensive licensed mobile spectrum access and carrier services. It appears the unlicensed access consumer tsunami wave is gaining momentum full steam ahead as the worldwide recession continues to persist. It remains to be seen if carriers can truly provide value added services to differentiate their 3G and 4G offers from free Wi-Fi VoIP. So here are 5 relatively inexpensive and sometimes free ways to make the reception problem more tolerable assuming you have a broadband service available. 1. Get a Femtocell - The cheapest and quickest way is to purchase and install a femtocell (mini cell phone tower) on your property which only covers 5,000 square feet on average and works for approximately 8 registered phones or people on your network. This is not for public access but can fix problems for one carrier only especially if you are in a remote area. Costs range from free to $300 and require broadband services on the premises for back-haul and possibly a monthly service fee of $5-$20.. AT&T is the only carrier that has a 3G Femtocell and Sprint femtocell and Verizon femtocell also have femtocells but they are only 2G. See our List of Femtocell Manufacturers. The AT&T U-Verse Femtocell DVR pictured above is what we think the future of femtocells will likely be for all TV and broadband providers. Here are some tricks on how to get a femtocell for free. 3. UMA Phone - Some international carriers such as T-Mobile have used UMA which stands for Unlicensed Mobile Access providing access to cellular mobile voice and data services over unlicensed spectrum or Wifi. This can be a very effective way to receive free international calls while traveling. However, many carriers have stopped promoting the free service for obvious reasons . . . they don't make any money from it. If you have a smartphone check for available apps. Read more about the details here UMA Phone + Wi-Fi = Home Cell Coverage. 4. Signal Repeater, Booster or Amplifier - If you have a weak signal in your home there are some ways you can amplify the signal throughout the home by grabbing the signal outsider and repeating it inside. See our post How To Select A Cellular Amplifier If you frequently experience dropped calls in the car you might want to try and cellular amplifier which is annoying to the carriers but it often makes your signal stronger than those phone around you and will likely give you priority on the network when making phone calls. See also how to boost your WiFi signal. 5. Forward calls to a land line- Forwarding your cell phone to your home phone number is generally your most reliable bet for making sure you don’t miss any calls to your cell phone. Another option is to use Google Voice which may save you some money with call forwarding minutes counting against your plan. Keep in mind there are over 160 smaller regional rural carriers around around US and if you haven't done your research you might be surprised to know that Rural Wireless Carriers Can Have Better Coverage. AT&T said that policy makers can help by "protecting wireless broadband networks from onerous new net neutrality regulations", which it claims is "vital to the continued growth of the industry". Or in other words, net neutrality will limit the profits it can extract from wireless services. The bare-faced cheek of the company calling net neutrality 'onerous' is a disgrace and simply goes to show how much AT&T and the like care for their paying customers. As we and many others had predicted, Google's deal with Verizon has opened the floodgates for telecoms operators to make ridiculous claims in order to destroy net neutrality and promote their own agenda of what AT&T termed 'continued growth'. It should also be noted that AT&T's statement made no reference to how its network performance affects its subscribers. Rather it reads like a sob story, except that it's being told by a company that raked in $123 billion in revenues and about 12.5 billion profit last year alone. The firm claimed that even long term evolution (LTE) networks have only a fraction of the bandwidth found in fibre-optic networks. It also claims that the wireless network companies often "split cells" by installing new towers, but that is restricted by local authorities. AT&T has come up with a three point action plan that includes the deployment of HSPA+ and LTE networks, using WiFi and microcells and installing even more cell towers. 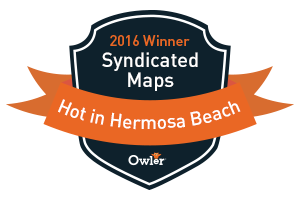 Which consumer generated cell phone reception map DeadCellZones.com, GotReception.com, CellReception.com, RootWireless.com, SignalMap.com has the best user experience and is most useful? Please test the user experience and evaluate each web site based on the following criteria below. Submit your comments below in the comments box. Our ranking is ordered below but would like to hear you? 3) Try submitting a coverage complaint and comment. What is Wireless Net Neutrality? Imagine for a minute if highway toll roads only allowed certain makes of cars to use the road. If you didn’t have one of those approved vehicles to use the toll road, then you couldn’t use it. All toll roads are built with either special government funds or, in some cases, private funds authorized by the respective state government. But, in all cases, toll roads are built so that any car or truck can use them. They are not free: the charge is typically based on the amount of toll road resources that are used: 1) higher costs for larger vehicles (typically number of axles) and 2) higher costs for distance driven (typically set as a cost per mile). Now, jump over to the world of mobile and wireless. We have a very different environment. Private companies have built wireless networks to operate on spectrum that they have licensed from the FCC. Handset manufacturers have built phones that can operate on the wireless network’s spectrum. There are two kinds of technology used in the U.S.: 1) GSM, the same technology that is used in Europe and many other areas in the world (but at a different frequency) and 2) CDMA, which is implemented on fewer wireless operators in the U.S. including Sprint and Verizon Wireless. 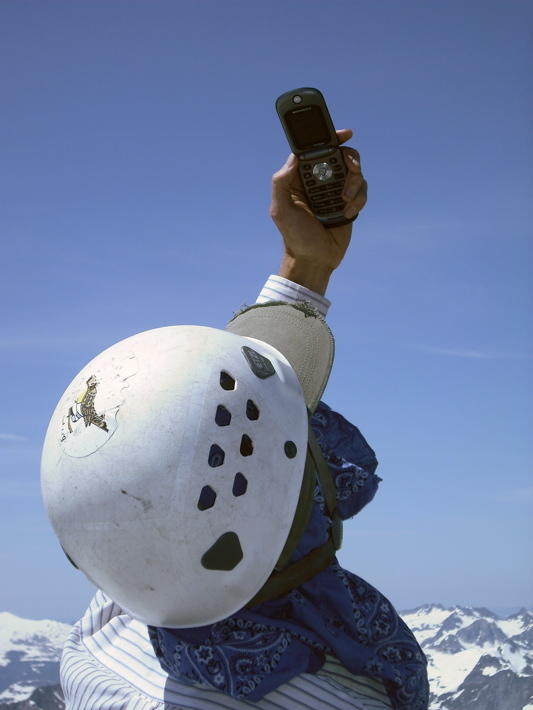 The wireless operators – in order to protect and keep their networks separate from their competitors – require handsets to be developed only for their networks. This is ‘hard and fast’ for CDMA networks that require customers to activate their phone through Customer Service. 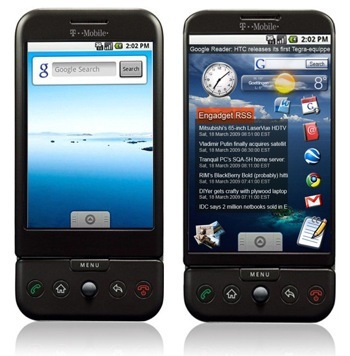 GSM networks (AT&T and T-Mobile) use SIM cards that can be inserted into any GSM-compatible phone and run on any network (same as in Europe), although the toll charges may be different on each network. The recent 700 MHz auction was an attempt by the FCC to make wireless networks more open so that they would operate more like a vehicle toll road: you could take any handset that is certified to run (like a car certified to meet all transportation requirements) and run it on any network of your choice. That would include taking a device built to run on AT&T (say an iPhone) and simply deciding to switch over and use Verizon Wireless. That would be interesting. Users would have more choice to take their phone and operate it on whatever network they wished either because of pricing advantage, service reasons, or any other reason. The new 700 MHz open networks won’t happen for a while, but when they do, it will be a big experiment to see how handset manufacturers, wireless operators and users deal with their new found freedom. We’d like to have subscribers in the U.S. have at least as much freedom as those in Europe and other areas of the world: They can run their phone anywhere – on any network that’s built and made available. When this happens, then handset manufacturers can build phones and sell them anywhere, not just through the wireless operator or the operator’s authorized retailer but, literally, anywhere – out of the back of a van, in a convenience store, or in places like Target. Operators would have to provide better services in order to attract subscribers. One might offer a faster network for lower cost, or another might drop far fewer calls, while still others might simply focus on basic services at the lowest cost possible. What about applications? They should operate in the same manner. Developers should be able to build an application for, say, the iPhone, and get to publish it in the Apps Store without approval from Apple as long as it can be certified to run on the AT&T network and doesn’t crash or disrupt other applications on the iPhone or iPad. That would make applications really open. In a dream world, it would also be nice if developers could write their application for one platform (say, Apple iOS) and easily migrate the application to another platform (say, BlackBerry). But, the platforms all typically have a different APIs, toolkit libraries, and development editors that makes it impossible to have a ‘write once, run anywhere’ environment. (This was the idea behind Java but it didn’t work out as planned). 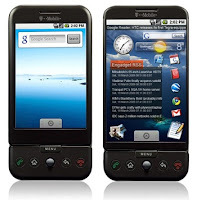 Plus, you have different screens produced on different handsets that require customization as well. And then there’s one more area of open to deal with: Can developers migrate outside their application store environment to build different applications that might serve different purposes -- such as manage the wireless connection in a more secure way? Or, another unapproved application might let users sync their music and video clips with their computer over Wi-Fi without using a cable. This process is often called ‘jail breaking’ since the developer is moving outside the platform’s ‘walled garden’ to do something that is outside the boundaries of traditional applications. On July 26, the Library of Congress (which controls the U.S. Copyright Office) ruled that it is perfectly OK for developers to bypass the phone’s controls over what software will run. The ruling seems focused at Apple but the same case can be made for other platforms as well. Jail breaking is more prevalent on platforms where there ’s a tight ‘walled garden’ but doesn’t exist in other more open environments, especially when the source code for the platform is available to all (like Android). While this column may appear to focus on Apple and it’s relatively closed environment, the message about being open is the same for all SmartPhone platforms, for all wireless operators, and for all device manufacturers: Build products that conform to basic operating requirements set by the government but then let users choose what phone they want, what network on which they want to operate that phone, and then choose any application they want to run in that environment. Simple and easy to declare. Much harder to actually implement. It seems so right and natural. If enough users demand it, then hopefully economic forces with government oversight will enable it. The iPhone 4 can be unlocked, which means you can use the phone on any GSM network around the World. T-Mobile is usually "less bad" because there are fewer people on the network competing for coverage on its new HSPA+ 4G network. Its just common sense. T-Mobile service plans are fairly priced (no data caps), their customer service is pretty good, their contracts and plans are not fraudulent and their network works better in major markets because you are competing against less people for access. T-Mobile’s Edge service is not the fastest in the world but it also works in the market I live in. Keep in mind T-Mobile does not currently support Facetime which is a bummer. I am sure there will be a patch to re-enable Facetime on T-Mobile's network soon. Follow these steps to get your iPhone4 from AT&T to T-Mobile. Remove AT&T's SIM from the iPhone. To do this use a pointed object (pin, needle or staple) and push it into the center hole located on the side of the phone. The SIM cradle will pop free. Pull out the old AT&T SIM and use it as a template for the new T-Mobile SIM card. 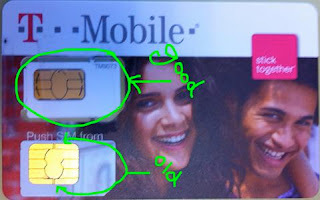 Trim the T-Mobile SIM Card - Align the metal contact area on the T-Mobile SIM with the existing AT&T Micro SIM, pay attention to orientation of the notch & cut into the SIM cards keeping them in the same direction. If you have the right SIM style, it’s pretty easy, you really just need to align the SIM as closely as possible. When cutting out the SIM, do not initially use scissors — doing so will put a lot of stress on the SIM itself and if you hear a “crunch” noise you’re destroying the SIM. I used a knife to cut out the SIM and a very sharp set of scissors to trim it in order to get it to fit into the iPhone4 SIM cradle. Make sure that there’s no protruding shards of plastic, if there are, you may have a very hard time removing your SIM card. Update Cydia & Install Ultrasn02 - There will be a new application on your iPhone Cydia (directory of applications), open it and allow it to upgrade itself if is needed. Search for the app ultrasn0w and install ultrasn0w. Once it is installed, you will be prompted to reboot the phone. Cancel Your AT&T Contract - 1-800-331-0500 tell AT&T them you are leaving the country they’ll give you 60 days to re-activate service. Tip For Jailbreakers: Don't sign the AT&T contract in the store. 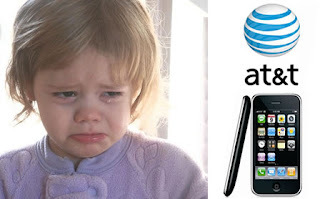 Watch out iPhone users AT&T is at it again trying to rip you off. Do not sign up for the AT&T Data Plus 200MB monthly data plan because you will likely use this amount of data in the first hour of use if you have a lot of applications running. Also, as you are driving around in the car Apple and AT&T will not tell you that more that half of the data usage is for data signaling as your phone travels between cell phone towers. It has also been reported that the iPhone FaceTime app uses roughly 3MB of data per minute. So even if you are not using your phone to do any of the in the chart below you will still be incurring data charges. Even if you have purchased AT&T's femtocell (Microcell) you will still incur data charges towards your phone usage on the network. This is also appalling and a rip off as well. We recommend sticking with Wi-Fi as long as you can as the big carriers still think they can take advance of the unsophisticated users. There is still very little transparency and reporting about your data usage and I expect to see many class action law suits as a result. The monthly bills are starting to come in and if you are not diligent you may find yourself in cell phone billing hell. These figures above pertain to other smart phones and do not represent normal data usage on iPhones. You probably didn’t think your iPad or iPhone could get even faster speeds that 3G? Guess again my friends! This hotspot device isn’t from Apple or on AT&T's 3G network. It’s from Clear and it’s 4G on their WIMAX network. Clearwire Corp. (CLWR) unveiled its iSpot mobile hot spot product with dedicated support for Apple's line of mobile devices, including the iPad, iPhone and iPod Touch. So what is the difference between 3G vs 4G and why you might want to considering it as AT&T stopped offering all you can eat data plans. The iSpot will be available beginning Aug. 10 for $100 (or for $30 if ordered today on August 4, 2010), allows for up to eight Wi-Fi enabled Apple products using wireless data services on Clearwire's WiMAX 4G network. (The carrier offers other “Spot” devices for non-Apple products.) Data rate plans (no voice) for the device run $25 per month for unlimited access at network speeds up to 6 megabits per second on the downlink and 1 Mbps on the uplink. No contract is required for the service and the WiMAX 4G service is currently available in 49 markets following the recent launch of five new markets this week. Clearwire coverage maps has indicate plans to cover 120 million cell towers with its WiMAX network by the end of the year. iSpot provides Wi-Fi coverage up to 150 feet away. As with any Wi-Fi network, your coverage may be affected by obstructions such as buildings and doors, terrain and foliage, weather and atmospheric conditions, and other factors. 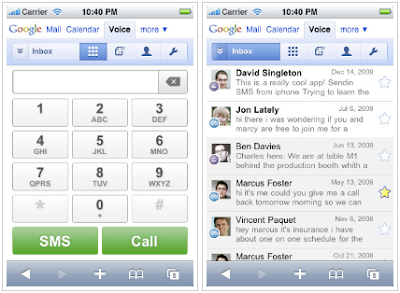 iSpot was built and optimized by CLEAR for Apple mobile devices (although Apple isn’t likely to tell you that). If you want to experience the same kind of tummy-twisting speed on your laptops, cameras or other smartphones, there are some sweet Spot products that will make you very happy. Not sure what we think of this but sounds kind of strange considering the devices is using the same Wi-Fi standards. Here is a video of Apple's products running through one of iSpot mobile's hot spot devices providing faster data speeds in a mobile environment compared with an iPhone running on AT&T Mobility's 3G network. It is now possible to save even more money as a consumer if you don't want to pay AT&T for unlimited data and its' congested 3G data network. If you are not a big traveler and are frequently near open Wi-Fi hotspots there is a cheaper solution for you. Typically users who drop data plans will use their phones or iPads on Wi-Fi and not the carrier 3G network. Even if you purchased a 3G iPad, iPhone 4, Android phone you dont have to get the data plan. This can often save you $25 to $30 per month depending on your carrier. Also, if you jail break your iPad or iPhone it does void the warranty but it is typically cheaper to take your phone in for repair versus using the warranty service. Also, more retailers are starting to offer free Wi-Fi as Starbucks said they will be offering free wireless access to all customers with no registration, debit cards, time restrictions or other shenanigans. This is a great trend that will be expanding a lot in the coming years. We think data and voice will eventually be free because advertising will eventually be subsidizing these costs.